Your recycled part is covered by this limited warranty unless specifically excluded in writing at the time of sale. Your recycled part from Green Light Used Auto Parts is covered by this limited warranty unless specifically excluded in writing at the time of sale. This warranty applies only to the original purchaser of the part and only as long as the part is still installed in the vehicle for which it was originally purchased for 90 days, or for longer if an extended warranty is purchased. The warranty is not transferable. If any defect is discovered during the warranty period, the Green Light Used Auto Parts must be informed immediately. All claims must be accompanied by the part and the original sales receipt. Defects must be verified and all work under this warranty authorized by the Green Light Used Auto Parts. Transportation cost of any part to the Green Light Used Auto Parts is specifically excluded from this warranty. The Green Light Used Auto Parts reserves the right to repair, replace, or refund the purchase price of any part at its option. Such repair, replacement or refund will satisfy all obligation under this warranty. Any improper use, abuse (including but not limited to overheating or low oil engines and transmissions), neglect, careless handling, damage done by improper installation or repairs, or removal of a part from the vehicle in which it was first installed after purchase from the Green Light Used Auto Parts shall void this warranty. Melting of heat tabs installed by the Green Light Used Auto Parts if applicable will be considered evidence of overheating. Labor costs, including the cost of moving attached external parts from the purchaser's old part to the Green Light Used Auto Parts part, seals, gaskets, fluids, and similar supplies are specifically excluded from this warranty. The Liability and obligation of the Green Light Used Auto Parts under this warranty shall not include any inconvenience, transportation, towing, labor expense (unless a limited warranty is purchased), down time, or direct or indirect or consequent damage, or delay resulting from any defect. This warranty is in lieu of any other warranties expressed or implied, including any implied warranty of merchantability or fitness for a particular purpose. No action by the Green Light Used Auto Parts under this warranty shall extend the original warranty period or alter its obligation. This warranty give you specific legal rights. You may also have other rights which vary from state to state. Any cause of action arising from this warranty action must be filed in Los Angeles, California. The Green Light Used Auto Parts warrants to the original purchaser the internal parts of its engines to be free of defects for a period of 90 days from the date of sale. The parts covered by this warranty are the entire block, cylinder head with valves, cam shaft, connecting rods and bearings, pistons, piston rings, oil pump, crankshaft and bearings, rocker arms, valve lifters, and other internal parts. Excluded from this warranty are the carburetor, fuel pump, water pump, all electrical parts, hoses, lines, intake and exhaust manifolds, fuel injector pumps, all other fuel injection parts, and all other external parts. Calibration and adjustment of excluded parts. Calibration and adjustment of excluded parts is also excluded from this warranty. This warranty is void if new oil and oil filter are not used in installation. The Green Light Used Auto Parts warrants to the original purchaser its transmission to be free of defects for a period of 90 days from the date of sale. The parts covered by this warranty are the transmission case and all internal parts including the torque converter. Excluded from this warranty are the transmission mounts, shifting linkage, flywheel, all other external parts, and problems that result from not installing new front and rear main seals when installing the transmission. The Green Light Used Auto Parts warrants to the original purchaser that recycled parts sold by it will be free of defects for a period of 90 days from the date of purchase. Properly installed and refinished sheet metal parts are guaranteed, for an amount up to their original price, against rust and corrosion for 1 year from the date of purchase. New items special ordered are not returnable. Deposits are not refundable on special order part(s). Occasionally, for the convenience of the customer Green Light Used Auto Parts orders parts from other auto recyclers when the desired part is not available from Green Light Used Auto Parts. The customer is informed at the same time of purchase if a part is not from our stock. This warranty only applies to parts from Green Light Used Auto Parts inventory. 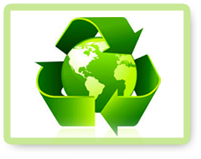 The parts obtained by Green Light Used Auto Parts from another auto recycler shall be warranted only by that auto recycler and as provided by the auto recycler's return policy, which may include restocking and freight charges. Body sections which have been cut to order are not returnable. Refunds are paid by check. Refund checks will be made payable to the purchaser's name on the invoice. If merchandise was purchased by check, please allow 10 working days for refund. Items not defective which are returned are subject to acceptance to Green Light Used Auto Parts and must be returned within 30 calendar days of purchase date. Parts that are accepted for return are subject to a service charge. Electronic parts are sold as is. Exchange parts must be returned at the time of purchase or a core charge will be made. Unless otherwise warranted to core charge charge will be refunded if exchange parts are brought in within 30 days. NO CORE REFUNDS WITHOUT INVOICE OR AFTER 30 DAYS. The following parts are sold "As Is" with no warranties expressed or implied. All open accounts are due and payable on the (10th) day of the month following the purchase. A carry charge of 1.5% per month (18% per Annum) payable from the (10th) day of the month following the date of purchase will be added to the balance of each account not paid by the twentieth (20th) day of the month following date of purchase. Buyer agrees to pay all collection costs, including, but not limited to phone calls, traveling expenses, attorney's fees, and court costs incurred in collecting amount due on past due accounts. Any returned checks will be assessed a service fee of $36 per check. Extended warranties can be purchased with or without labor coverage. All warranty coverage will be stated on the front of invoice. In the event of a warranty claim, refer to the front of the invoice to find out which warranty applies and contact Green Light Used Auto Parts immediately for warranty approval. All labor warranties are limited installation only warranty. Green Light Used Auto Parts will pay up to $15/hr flat rate according to Mitchell's Labor Guide. The labor time will be R&R of assembly only and will not include R&R of any or all accessories. This warranty does NOT cover the following: towing, rental, seals/gaskets/oil or any other materials used in performing R&R, direct or indirect consequent damage, inconvenience, down time, or any other non-labor issues. Green Light Used Auto Parts reserves the right to inspect warranty claims prior to approval and the right to direct vehicle to another repairs facility of their choice. Any warranty claims due to (including but not limited to) installation error, overheating, low oil in engines or transmissions, neglect, abuse, theft, or any other improper use will be rejected. In the event Green Light Used Auto Parts can not supply a replacement part, a full part refund will be provided along with the labor reimbursement herein described. To validate warranties you must present original invoice. Copies are not acceptable. As the population of environmentally conscious consumers continues to grow our goal is to make a difference and to do business in such a way that it’s friendly to the environment. © 2012 Green Light Auto Parts. All rights reserved.